Recognized on May 29, 529 Day is a day to celebrate your savings and raise awareness about the importance of saving for higher education. Thousands of families from across Virginia and beyond celebrated 529 Day in 2018, whether it was by opening an account through the “Save $50, Get $50” offer, by attending an event to learn more about how easy it is to save for higher education, or by welcoming a baby on May 29 and receiving an Invest529 account worth $529. National 529 Day may be over, but let’s keep the celebration --- and the savings--- going! Read the “Save $50, Get $50” offer official terms and conditions. 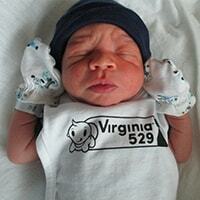 Virginia529 partners with hospitals across Virginia to award college savings accounts to babies born on 529 Day. 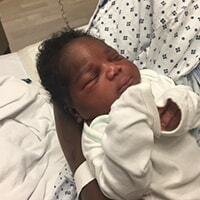 The baby born closets to 5:29 p.m. on May 29, 2018 at each participating hospital won an Invest529 account valued at $529! 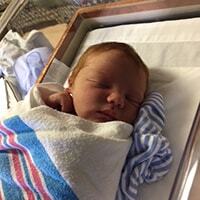 It’s a Boy, It’s a Girl, It’s an Invest529 Account! Ten years. Sixty babies. 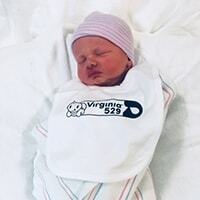 For a decade, Virginia529 has partnered with hospitals across the state to celebrate the birth of babies born closest to 5:29 p.m. on May 29. Today those babies, some of them heading into the 5th grade, have dreams and future plans to become everything from the next great chef to a Supreme Court Justice. Liam Lim has never seen an airplane he doesn’t absolutely love. His fascination with them is so strong in fact, that Kuna and Steven Lim are seeing wings and propellers in their son’s future. And whether that leads to a career as an aeronautical engineer, as a pilot, or something in between, Kuna said she loves watching her happy, strong-willed toddler grow and develop interests. As one of the 2016 winners of the 529 Day Baby promotion, Liam also has an Invest529 account growing right along with him. 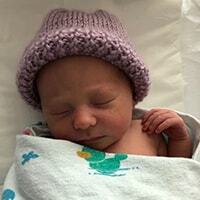 "We got to the hospital, had the baby and then this lady came in and asked us, ‘do you want some free money?’"
"After we got over the initial surprise, we realized how amazing it was," Kuna said. The couple, who had already set up a college savings account for their older son Ethan, are wholehearted believers in the importance of saving for college and are proud to have the opportunity to pass that practice on to their children. An optometrist, Kuna doesn’t regret earning her undergraduate degree at the University of Maryland- College Park --- after all it’s where she met her husband Steven. And with a limited number of optometry programs in the country ---none in Virginia--- she doesn’t regret attending college in Florida to earn her doctor of optometry degree. It’s the bills that came with earning two degrees from higher education institutions at out-of-state rates that still give her sticker shock. Now as the mother of two young children, Kuna would like to shield her sons from the long-term obligation of paying hundreds of thousands of dollars back in student loans. "Student loan debt affects so many aspects of your life. When you buy a house, when you buy a car, even when you buy furniture," she said. 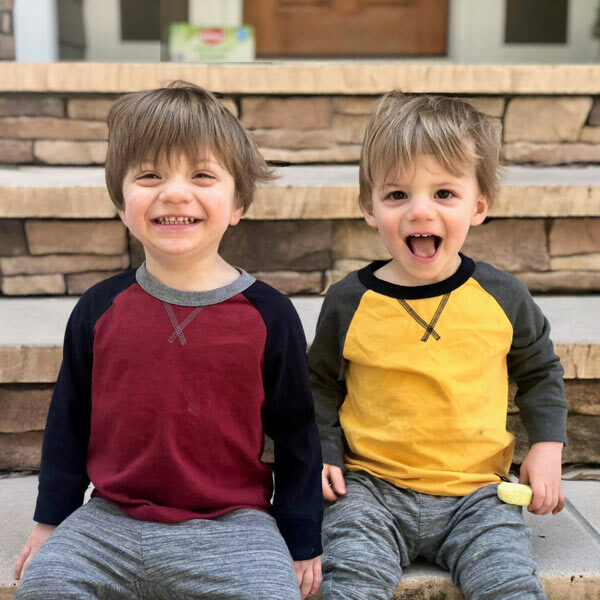 Thanks to their Invest529 accounts, Kuna said they’re showing the boys that saving for college isn’t a taboo topic and it will be woven into family conversations about the boys’ futures. "We would love for them to go to the best of the best schools, wherever that makes them happy. We will support them, but we will talk to them about the cost of school." * This individual’s experience as an account owner may not be representative of other account owners. Cathy Motley-Finch and husband Alan often watch their son Grayson and smile, considering how much he’s changed since he was born 10 years ago. 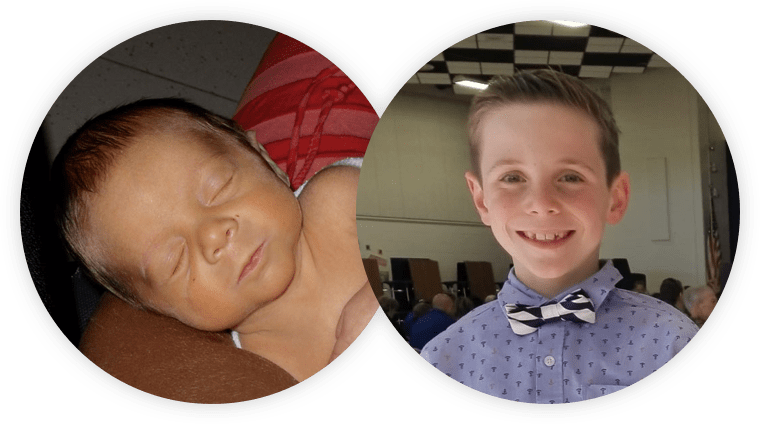 Their once little baby boy has matured into a personable, adventurous third-grader with a passion for sports, piano and the outdoors. 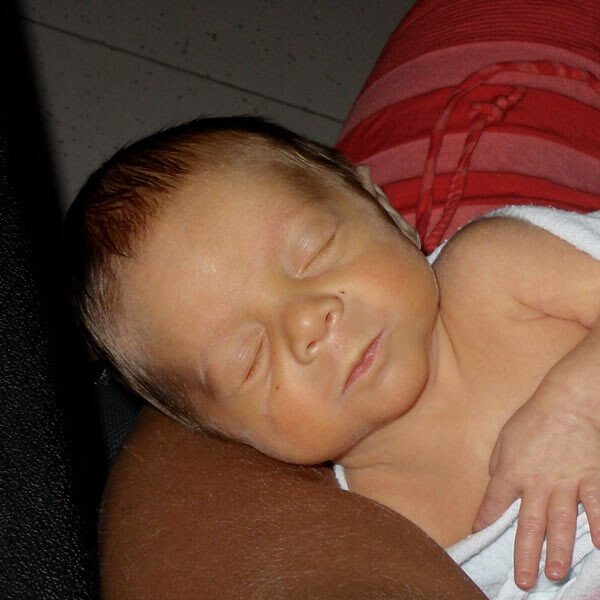 Time has really flown – and that’s why Cathy and Alan are so grateful they were among the first winners of the 529 Day Baby campaign in 2009. 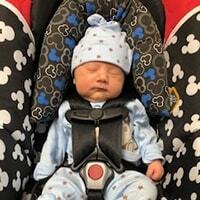 The special promotion jumpstarted their savings for new baby Grayson and spurred their savings plan into motion. "With so much going on, winning the prize really put saving for college at the top of our priority list – and we’ve kept up with it ever since," said Cathy. Now, 10 years later, the family is on track for financial success. "The simplicity of the direct deposit option really makes contributing easy," Alan commented. 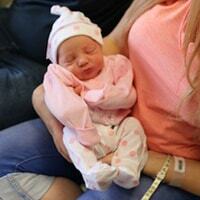 "And we love that friends and family can give gifts to Grayson’s account. Much better than getting toys every year." Grayson already has plans for the money in his account. Growing up, he considered many professions, including a firefighter, paleontologist and park ranger. Now, he’s settled on following in his father’s footsteps and becoming an orthopedic doctor. Grayson plans to attend Virginia Commonwealth University in nine short years. Cathy and Alan reported that Grayson has never been scared of the Tuition Monster – and now, neither are they. 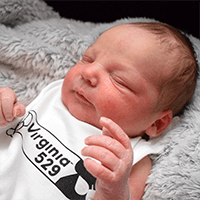 Thanks to starting their savings with Virginia529 when Grayson was born, they feel confident in tackling tuition to provide Grayson with a winning educational future. There’s a saying about twins that goes, "It’s double the giggles, double the grins, and double the trouble when you’ve got twins." Dr. Sadie Ahanchi can’t speak to the "trouble," but she’s well aware that 16 years from now she’ll have double the tuition bills coming her way. 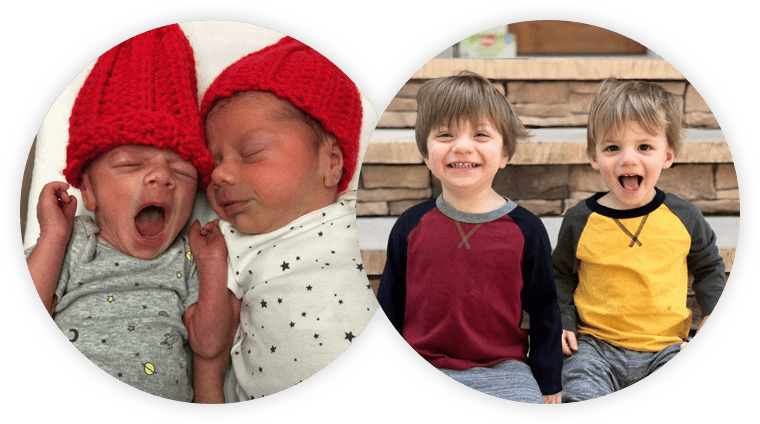 That’s why when she and Krystal Mignat had their twin boys, Oliver and Griffin, on May 29, 2016, they were ecstatic to be among that year’s winners of the 529 Day Baby promotion. "I’ve never won anything in my life and they haven’t even been here a day and they’ve already won something," she said about the annual $529 promotion awarded to babies born closest to 5:29 pm at participating hospitals. For the new family of four, it was helpful preparation for an important —and expensive— future milestone. Today Sadie and Kristen contribute regularly to the accounts, and they’ve even gotten the grandparents on board with helping them save for college. They’ve also expanded their investment in Oliver and Griffin’s education by purchasing Prepaid529 contracts for each child. 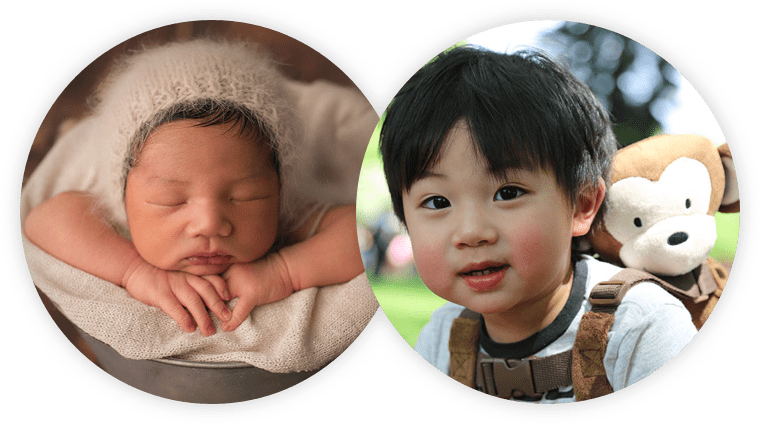 At two years old, it is too early for Oliver and Griffin’s parents to see what their career leanings may be, but as Sadie tells her friends and other expectant parents she encounters, it’s never too early to save for your children’s future. 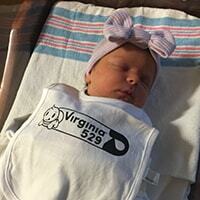 "We’re just grateful Virginia529 had this contest. I think I would have procrastinated about saving for a long time, but instead this got us started right away. I know we’ll continue to add to the accounts, and they will be used to help the boys get a great education in Virginia." For 10 years, Virginia529 has introduced new and exciting ways to celebrate 529 Day and award smart savers with money for their Virginia529 accounts. Take a look at how we’ve celebrated in years past! Thirty-one new account owners each won a bonus $1,000 contribution in May 2016 through Virginia529’s" $1,000 a Day" 529 Day sweepstakes. "Surprise, you won $10,000!" That’s what Virginia529 told Mike LoBue of Leesburg, Virginia when he won the 2015 529 Day sweepstakes. Read Mike’s exciting experience and other Virginia529 customers’ Saving Success Stories. 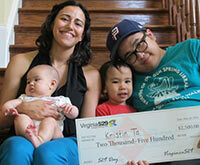 Kristin Ta of Chantilly, Virginia won Virginia529’s 2014 529 Day contest, receiving a $2,500 contribution that she split between her two children’s Virginia529 accounts. Read the Ta family’s college saving success story and how Kristin’s husband’s Vietnamese heritage gave them a jumpstart. Two lucky families– one new to saving and another already underway– each won a $5,000 college savings account from Virginia529 as part of the 2013 529 Day festivities. The Children’s Museum of Richmond raffled off an eight–semester prePAID tuition contract. 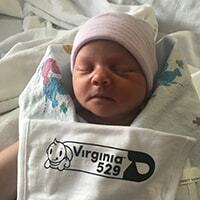 Our baby initiative expanded to 21 participating hospitals around the state and we kicked off the inaugural issue of the VA529 Xpress, our e–newsletter. In 2012, Virginia529 awarded 10 lucky families accounts each with an initial opening balance of $529. The hospital initiative returned and again, several infants were born very lucky, winning $529 just as they took their first breath! We also participated in our first Twitter party #529Day! Museums across Virginia joined in the fun for 2011! Museums across Virginia, including the Science Museum of Virginia, reduced admission to $5.29 on May 29. 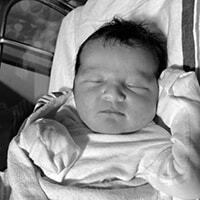 Eight babies born on 529 Day throughout Virginia won college savings accounts with an initial $529 opening balance. On May 29, 2010, Virginia529 held its second–annual 529 Day celebration in Richmond at the Diamond with the Richmond Flying Squirrels. Several 2009 529 Day winners joined us to celebrate their first birthday and throw the first pitch! We once again awarded college savings accounts with initial $529 opening balances to multiple mothers of infants born at Virginia hospitals and also awarded college savings accounts with initial $100 opening balances to three lucky spectators with a signed program from Nutzy the mascot. Virginia529 held its inaugural 529 Day celebration in 2009. 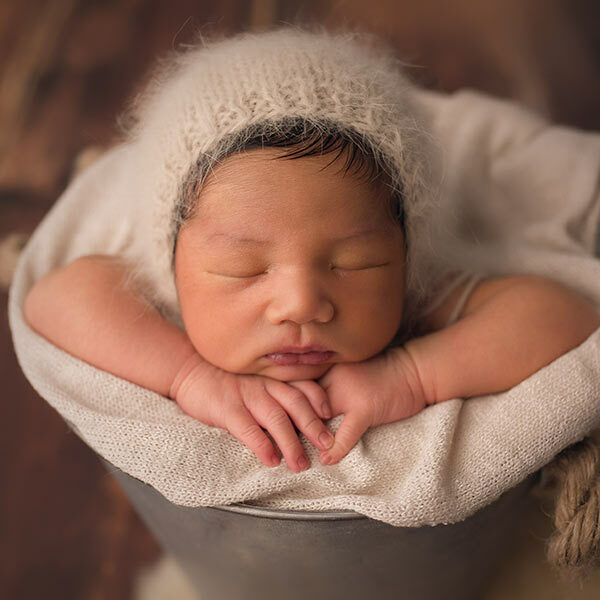 That year, and each year thereafter, we have partnered with select hospitals across the state of Virginia for a 529 Day Baby Initiative, where one lucky mom whose infant is born closest to 5:29 p.m. on May 29th is awarded a college savings account with an initial $529 opening balance. Virginia529 held a celebration at their office in Richmond, inviting the public to join for games, prizes, pizza and cake– and, of course, the chance to learn about and open a Virginia529 account.